Propaganda is Russia's weapon, Yovanovitch says. 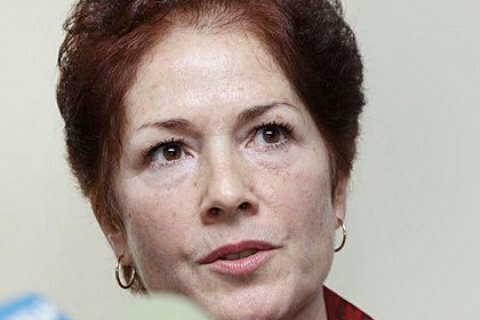 US Ambassador in Ukraine Marie L. Yovanovitch believes that the so-called "hybrid warfare" of Russia against Ukraine has begun even before the emergence of the term. "I'll tell you quite rough, but ever since Ukraine gained independence 25 years ago, your country has been in a hybrid war with Russia," the European Truth quoted the ambassador as saying during the presentation of the study The Audit of Foreign Policy. Propaganda is one of the tools used by Russia, the diplomat said. Yovanovitch reiterated the support for Ukraine by the United States and recalled that the United States has recently expanded sanctions against Russia because of its aggressive actions. "There is a clear majority in the US Congress in favor of Ukraine. There also is such support among US citizens... The unity never comes by itself. Each administration continuously assesses the risks and opportunities and to choose where to invest political capital. And Ukraine has a history of success, which gives hope for the success of US support," she said.